Both Apple and Samsung are in "advanced talks" with Groupe Speciale Mobile Association (GSMA) to participate in a standardized embeddable electronic SIM card, according to The Financial Times. If the initiative comes to market, it would make switching one's smartphone between carriers as easy as toggling onscreen controls. The GSMA is a trade organization representing wireless carriers around the planet. Hardware makers including Apple, Samsung, and a host of others have long been jockeying to get their pet SIM project included in industry standards, but en electronic SIM could truly change the way devices are manufactured, sold, and dealt with after the sale. That makes Apple and Samsung's participation key. The two companies are the most profitable in the industry—Apple dominates the high end of the market, while Samsung is one of the largest mobile device makers throughout the rest of the market. Apple has long had a dog in the SIM race, having submitted its own (patented) proposals for new SIMs to the GSMA and other standards bodies. The company has seemingly been interested in getting smaller SIMs accepted, something that would allow Apple more flexibility in designing its products. For the iPad Air 2, Apple introduced an electronic SIM of its own called Apple SIM. Few carriers in the global market adopted it, however, and it simply hasn't taken off. Samsung, on the other hand, has been pushing its own ideas for new SIMs, ideas that would give it another incrememtal revenue stream because it controls the patents behind its various SIM proposals. 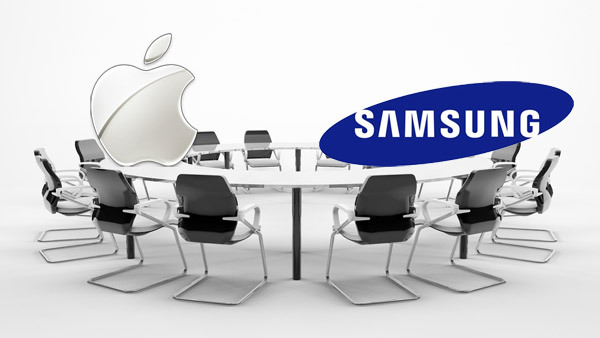 According to the GSMA, however, both Apple and Samsung are getting on board with the industry's plans. "We have got everyone back on one point, with Apple and Samsung agreeing to be part of that specification,” Anne Bouverot, chief executive of the GSMA, told The Financial Times. "We have been working with them and others to create an industry solution for machines and will agree a solution for consumer electronics." Specific technical aspects of the standard still have to be worked out, which means that even if a final deal is reached in the near future, it will be at least a year before devices using an electronic SIM hit the market. Once they do, however, consumers would have much more felxibility with their devices. No longer would they have to worry about getting the right device for the right network, making carrier mobility easier than ever.